P1000872, originally uploaded by Mic2006. 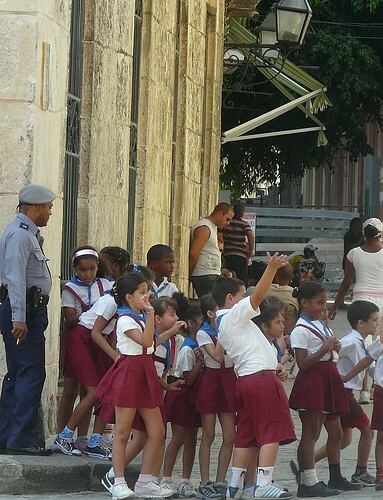 Old Havana had more than its share of school children. Everywhere you looked there were mobs of youngsters, partnered up, boy and girl, following the teacher in a string of hand-holding buddies. I thought this picture expressed their characters so well. Notice the extrovert, the shy one, mrs friendly etc. Each child shows their character when observed through the discrete telephoto lens of my camera somewhere near the Plaza de Armas.